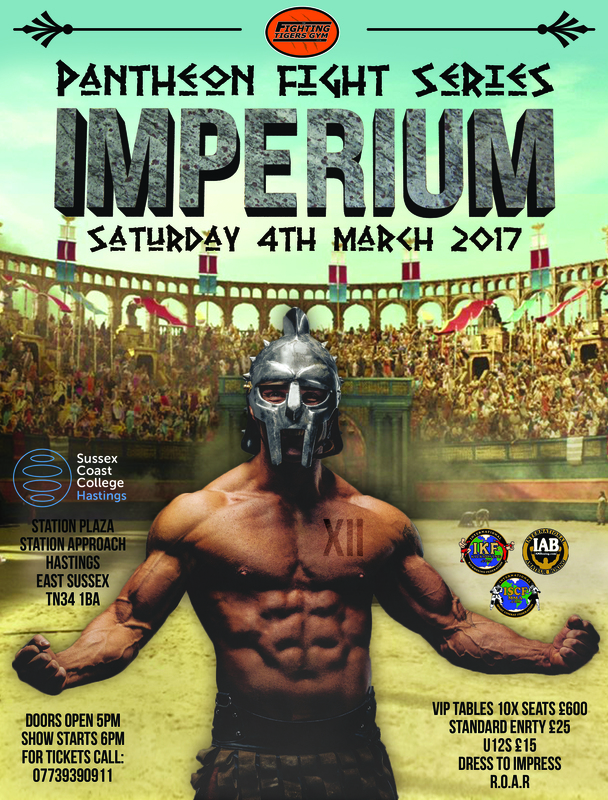 Our ‘Home Show’ Pantheon Fight Series 12 – Imperium is just around the corner and we are so excited for this! There will be no fewer than 5x of our very own talented fighters on the card alongside our Co-Main Events that feature the IKF Pro Unified Rules (K1) British Light Middleweight Title between Dean Blunt (Kaang Raang) & Liam Nolan (Knowlesy Academy) and we also have an ‘International Super Fight’ which is Full Thai Rules Featuring WMO World Champion – 57kg, WTKA World Champion – 60kg, WKL Intercontinental Champion – 53.5kg, ICO European Champion – 60kg – Cindy Silvestre from DC Fight in France taking on 2x WBC World Champion – 55kg, ISKA World Champion – 53.5kg, ICO World Champion – 53.5kg Ruth Ashdown from Crawley Lumpini. There will be no fewer than 5x Title fights and 5x International Fights with a full 16x Fight Card looking to eclipse all Pantheons before this one and that is certainly some doing we assure you. Tickets are available ‘NOW’ Call 07739390911 to arrange collection of your ticket or call into our reception to purchase yours now! !